← Christian Berger – Statsman! 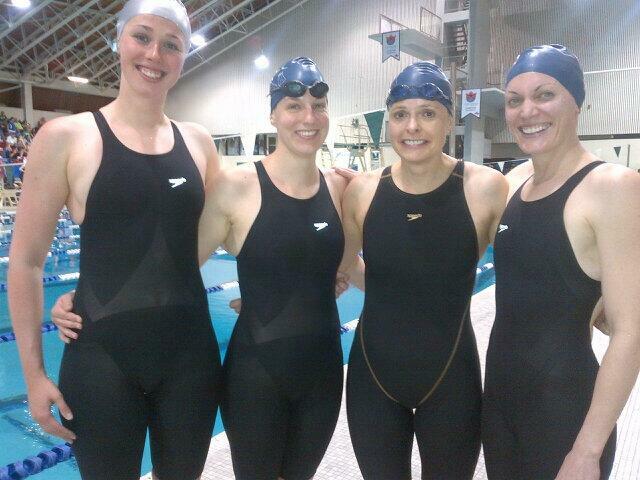 Congratulations to Stephanie Cholyk, Ceilidh Osland, Gail McGinnis, and Michelle MacWhirter on setting a new world record in the 120-159 women’s 4 x 100 free relay! 4:03.01 is the fastest time EVER across all masters age groups! This entry was posted in Of Interest, Photos, Records and Rankings. Bookmark the permalink.